Our core market is focused in the Latin American region. We have presence in Ecuador, El Salvador, Guatemala, Honduras, Nicaragua, Costa Rica and Panama, through the brands we represent, having established more than 10 alliances with distributors in the region. 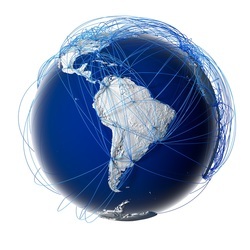 Our expansion plan considers other countries in Latin America like Dominicana, Puerto Rico, Bolivia, Colombia and Peru.